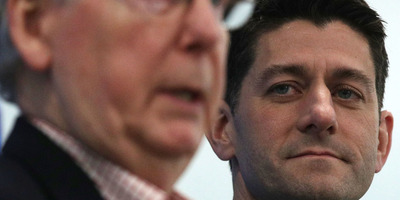 House Republicans on Monday unveiled a plan to keep the government funded, but it is unclear whether it has enough support to pass in both chambers of Congress – especially as the latest funding bill hit a wall in the Senate last month, leading to a three-day shutdown. It would extend government funding for non-defence programs to March 23 and increase funding for some miscellaneous items, such as an “additional amount to avoid delays in preparation for the 2020 Census” and the sale of oil from the Strategic Petroleum Reserve fund. It would extend defence funding for the rest of the fiscal year. This provision is designed to appeal to conservatives concerned about short-term funding bills’ effect on military readiness and long-term planning. It would extend funding for a slew of Medicare programs involving community health centres, rural hospitals, and more. If that sounds like kicking the can down the road, that’s because it is – for the most part. The pattern – extend the deadline, sweeten the deal for reluctant members, and take care of the rest later – is well-worn; Congress used continuing resolutions in September, December, and January to keep the government open. “The House Freedom Caucus supports the House Republican plan to pass a CR to March 23 that includes full funding for the military and community health centres,” the caucus said Monday. But the strategy is wearing on many other members and, as evidenced by the latest shutdown, doesn’t guarantee necessary support in the Senate. The Senate could come up with a separate spending plan that increases the mandatory caps on defence and non-defence spending, allowing the government to stay open and setting up a broader deal on the allocation of the increased funding in the next few weeks. Democrats want any long-term funding increase to equally bump defence and non-defence spending, while Republicans want a much larger increase in defence spending. The legislation unveiled Monday does not including funding for disaster relief, despite a request for more than $US80 billion from the White House to address hurricane relief in Texas, Puerto Rico, and elsewhere. It also does not increase the debt ceiling, which the government is expected to reach early next month.